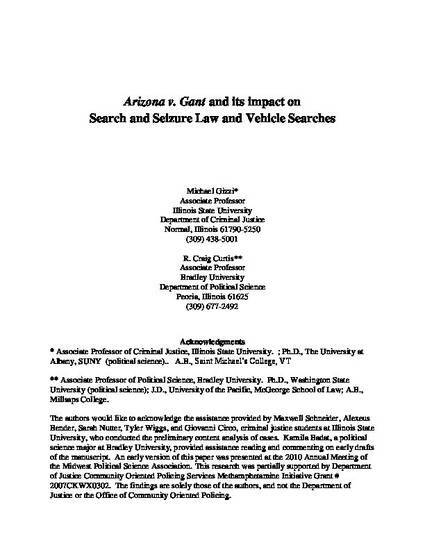 "Arizona v. Gant and its Impact on Search and Seizure Law and Vehicle Searches" by Michael C Gizzi, Ph.D. The decision in Arizona v. Gant, handed down in April of 2009, was a surprise for law enforcement and Supreme Court observers alike. For law enforcement, it took away their unfettered discretion to search a car anytime they engaged in a routine traffic stop, which was a commonly used tool for drug interdiction and combating gangs. For Court observers, it not only was a rare decision to suppress evidence in a Fourth Amendment case but it also presented an unusual line up of justices.  This study considers the implications of Gant both for law enforcement and for observers of the Court. A content analysis of 314 federal and state lower court decisions that have followed the Gant decision in the year following the decision is used to examine the impact that case is having on police and the lower courts. The content analysis illustrates the ways the decision is forcing changes in police practice, and provides insight into the ways that lower courts are responding to the Gant precedent.